Today Popupla debuts Hello Again, a collaboration with about interesting and non-traditional hotels around the world. 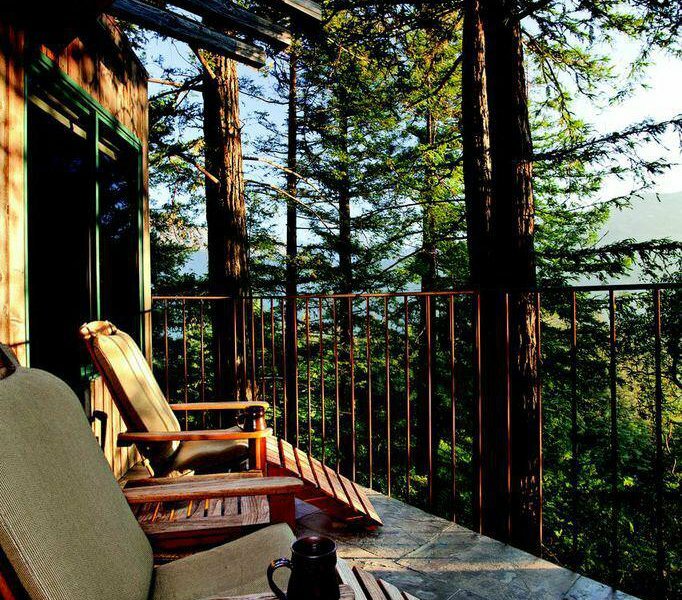 In our first installment, we visit Post Ranch Inn in Big Sur. 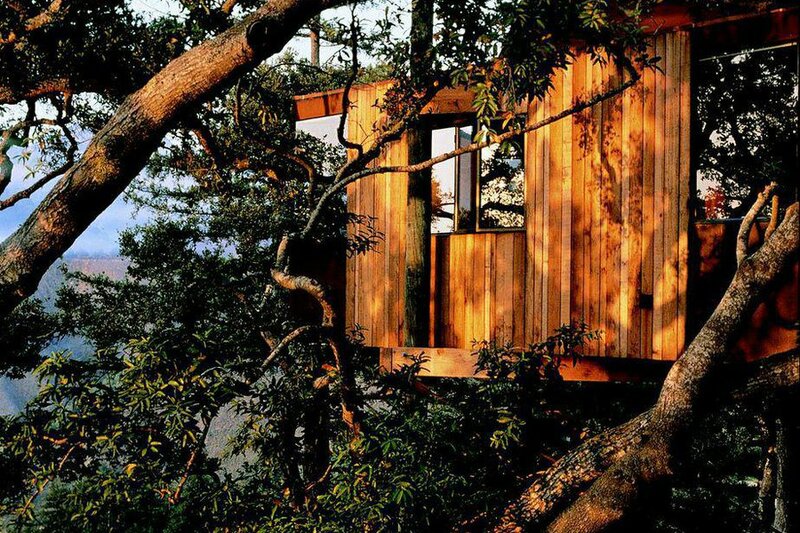 Because who wouldn't want to spend a few days in a swank treehouse? 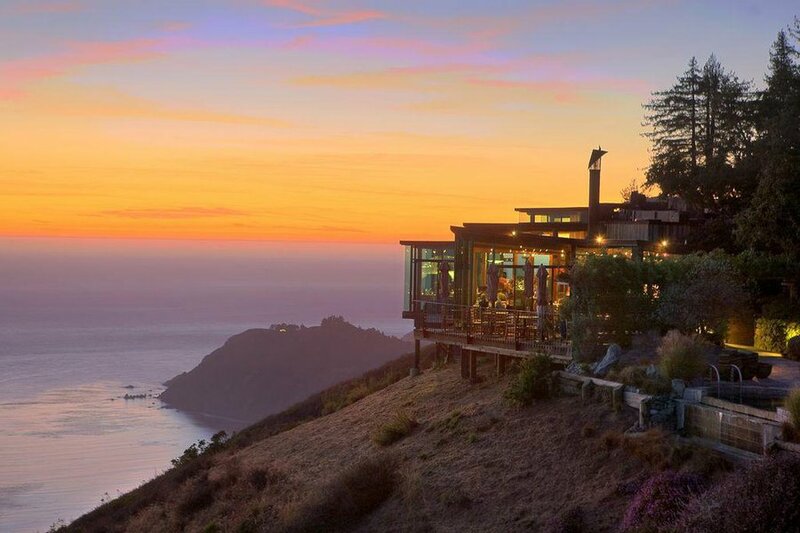 BIG SUR, California – Design can leave an equally stunning mark by either defying its environment or acquiescing to the nature that surrounds it. Delicately balancing elements of both through considerations of form, function, nature, and manmade technology is the remarkable , which literally clings to California's Big Sur coast. Just off Highway 1, the natural world embraces the dramatic architecture of Post Ranch Inn, and vice versa: The working ranch is literally cantilevered off the mountain — the dining room juts out over the ocean, the spa is nestled within a grove of towering redwoods, and glass-walled bedrooms see eye to eye with the clouds. The structure's reclaimed wood, steel and stone are incorporated seamlessly into the landscape, and the feeling throughout the property is at once vast and intimate. When drawing up plans for Post Ranch Inn, architect Mickey Muennig envisioned sustainable luxury, favoring organic architecture that emphasized the natural beauty of its surroundings. Each of the 39 uniquely designed guest rooms in the main building, as well as two houses with sod and wildflower roofing, have panoramic views of the Pacific Ocean or Santa Lucia Mountains. Room types are named for Mother Nature's best work in the area, with categories called Cliff, Pacific, Ocean, Coast, Peak, Tree, Mountain and Butterfly. Their layouts are shaped to mirror the coastlines on which they're set, and their undulating curves maximize views. 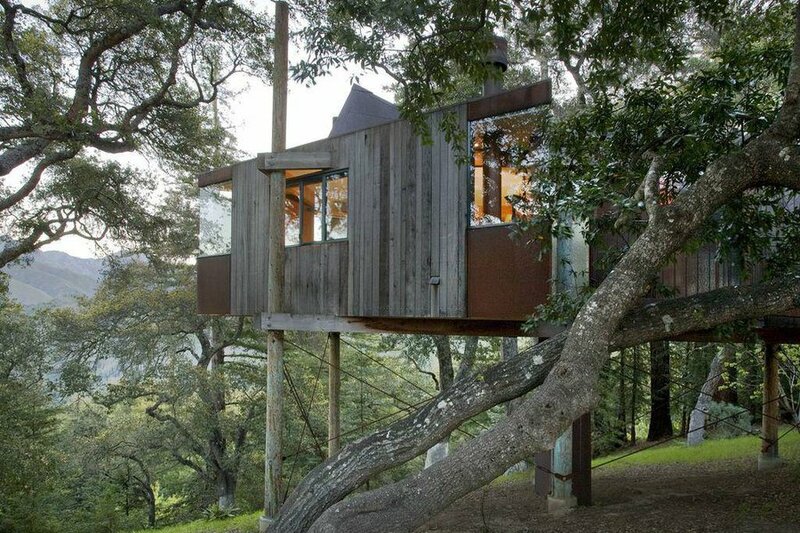 The treehouse perched on redwoods. In the dining room of the highly acclaimed restaurant , a floor-to-ceiling glass wall makes it feel like your two-top is floating above water. Luckily, the food has the kind of California freshness that works well when you are soaring above the landscape. The menu is sustainable and local; dinner theater takes its cues from the land and sea. On any given night the tasting menu could feature sea kelp, oysters, redwood strawberries, indigenous caviar, wild boar, or grasses found in the valley. Homey details — exposed wooden beams, fireplace, hand-thrown pottery, a telescope on the deck — underscore the eco ethos and deliver on luxury. 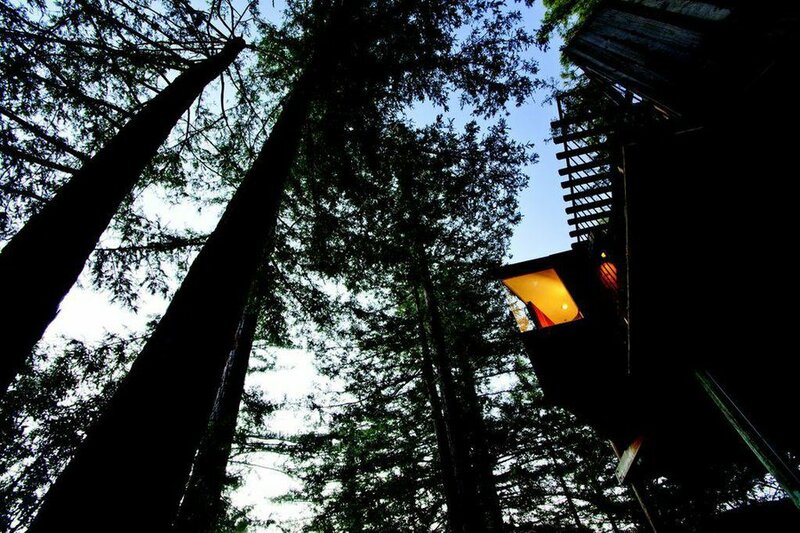 The centerpiece of the inn's adventurous design, however, lies in a cluster of stunning, triangular Tree Houses perched on nine-foot stilts up in the brush which protects the root systems of the surrounding redwoods. A stairway leads up to the entrance, and under the quiet canopy of gnarled oak limbs, it's easy to feel as free as a bird. Thoughtfully procured creature comforts — hand-tufted natural fiber mattresses, wool and cashmere bedspreads, wood-burning fireplaces, locally made soap — are subtle, earthy touches that feel freshly modern. There are no clocks or TVs, and you're acutely aware of the sound of the crackling fire, crashing waves, and song birds at sunrise. Sometimes it's hard to tell where the hotel ends and nature begins. A treehouse at in Big Sur, California. Post Ranch Inn, hugging the scenic Big Sur coast. 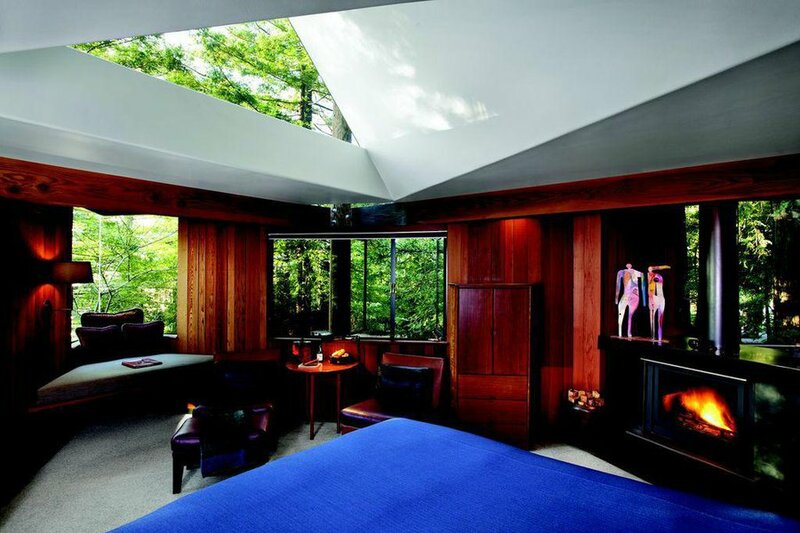 Cozy with a scenic view. 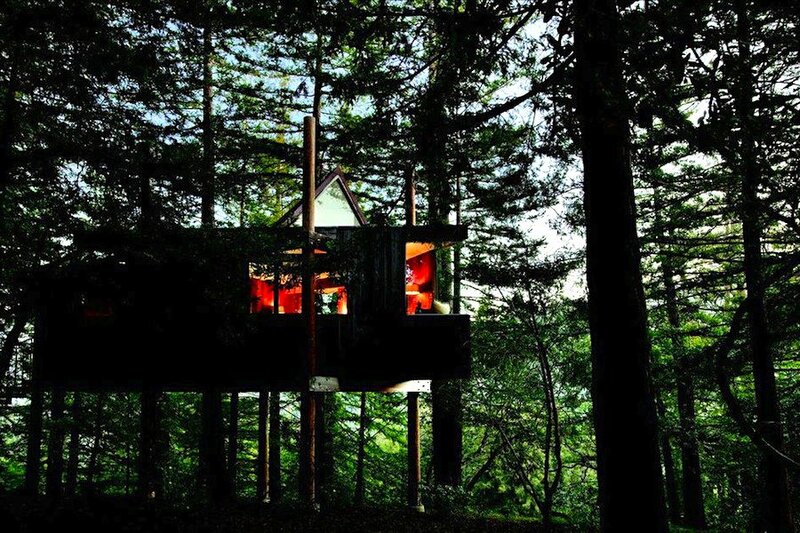 A treehouse in the sky. 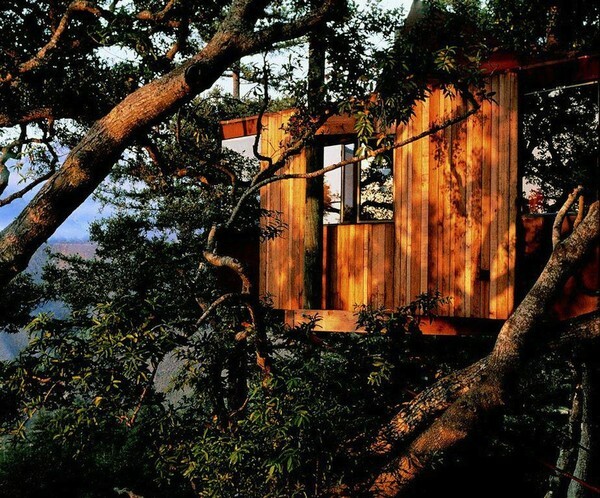 The treehouse perched on redwood trees. A private deck in the sky.